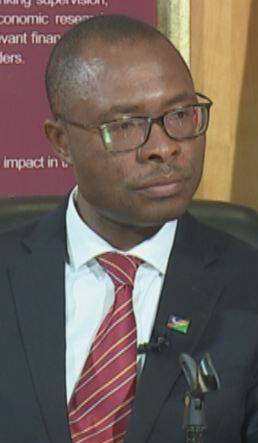 The Bank of Namibia released the April 2019 Economic Outlook Update with the domestic economic growth expected to recover marginally in 2019, before improving further in 2020. Namibia’s real GDP growth is projected to recover slightly to 0.3% in 2019, before improving to 1.9% in 2020. The expected recovery during 2019 will be supported mainly by anticipated improvements in the construction and hotels and restaurants sectors. Pictured: BoN Governor, Iipumbu Shiimi. – Photo. Contributed. BoN stated that a smaller contraction for wholesale and retail trade represents a reduced drag on overall growth when compared to the last two years. The latest overall growth projection of 0.3% for 2019 represents a downward revision from 1.5 % published during December 2018. 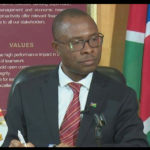 “More information about economic activities for 2019 is now available and it is clear that growth estimates for diamonds, uranium and metal ores are lower than what was anticipated in the December 2018 Update.”BoN said. The central bank noted that risks to domestic growth are mainly in the form of persistently low uranium price and unpredictable rainfall. “The low uranium price increases uncertainty about expected production from uranium mines, while the erratic rainfall may continue to negatively affect the performance of the agriculture sector beyond 2019. Furthermore, the China/US trade tensions may negatively affect the demand for Namibian minerals’” BoN summarized.